Beauty enhancement is an inevitable necessity in the modern times and when you find yourself with an abnormal facial impression, it becomes even more important to work around to enhance your facial beauty with well known cosmetic solutions. Liquid Facelift is a cosmetically approved process with plenty of evidence backing it, dermal fillers are widely used to accomplish a renewed and revived facial appearance. There could be several known and unknown reasons for the gradual and untimely degeneration of your face in terms of cosmetic looks and appeal. Aging is a prominent factor that is believed to be responsible for such cosmetic challenges; however age related factors can’t be discussed in isolation as there could be many other contributing factors ranging from physical and emotional imbalances. When you are aware of an abnormal presentation of your face, the right thing to do is to look for options to revive it instead of dealing with reasons behind such an impression. It is good to understand the pattern of facial appearance disorders from a scientific perspective of observation. The normal face is often referred to have V Shape which covers the cheekbones and chin. If imaginary lines are drawn connecting the ends of cheekbones and chin, it would give an impression of V. In this condition there is enough volume of tissue in the cheeks which gives a complete and fuller view, ideally it’s the desirable view. With degeneration and loss of the cheeks volume, the facial impression would change to give a reversed V kind of an impression. This can be treated well at our Sheffield Clinic with dermal fillers as part of the facial enchantment process. Cosmetology has been maturing with time and its advantages are clearly evident in terms of the introduction of several non surgical procedures. They include Liquid Facelift that doesn’t require any surgery and typically you can experience the cosmetic transformation without going under the knife. 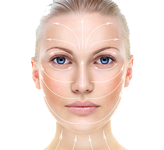 There are many advantages with products like dermal fillers and cosmetic solutions such as Liquid Facelift. Apart from being relatively safe and reliable, they are also preferred to keep the patient’s physical impression intact while only transforming the external outlook. It is not a permanent change though its effect is long term which is good in many ways. Cosmetic change has always had its positive impact over anybody who experiences the transformational change. While an external change of physical appearance is very desirable, the emotional and psychological advantage you have is unmatched. It makes you feel all new and Liquid Facelift is all about facilitating such a change. Facial enhancement or uplift procedures are offered by the experts by considering a lot of factors that might impact your personality and behavior in many ways. But, looking from your own perspective from within, you might have a lot of apprehensions and doubts about how the outcome would be, more importantly because the facial impression is involved. Choose wise when it comes to the cosmetic clinic as you know it very well that the best of treatment procedures are experienced only with proper implementation, the professional expertise of cosmetic experts and the standard of facilities would really matter in determining the impact. Our Sheffield Clinic for Cosmetic Care has been outstanding in offering quality care and treatment with the best possible measures of therapy and also by complying with the global standards. You can experience the advantage with Liquid Facelift when the right combination of therapies with wrinkle smoothers and dermal fillers are used. It’s like a combination therapy in a technical sense and at our clinic we recommend Radiesse® and Juvederm®, they are effective and reliable cosmetic products. The mode of treatment of Liquid Facelift is by injecting the premium dermal fillers with an objective of reviving the lost mass volume of your cheeks. After the successful procedure, the ideal V shape would reappear and it is precisely called as the corrective and reconstructive therapy in cosmetic terms. Fine needles are used to inject the dermal fillers and the choice of our dermal fillers for Liquid Facelift is driven by the possibility of providing a natural outcome. At times, the outcome may appear to be perfect from the treatment point of view, but the truth is that it may not look natural. The choice of your dermal fillers is important if you want to achieve a naturally looking impression even after the therapy. You may be advised to use face peel under some circumstances which depends on your skin type assessed by the treating experts. When the nature of a cosmetic therapy is non surgical, it naturally becomes a very comforting factor which also motivates you to consider Liquid Facelift. There is a psychological advantage. Normally surgery is avoided to avoid pain, but do not think that there is no pain involved when dermal fillers are injected. Be prepared to deal with mild to moderate pain. The pain management in this context of cosmetic therapies is pretty much advanced and same is the case with handling the post therapy complications, if any. No medical, surgical or cosmetic treatment can be absolutely free of therapy related complications and therefore you can be confident, but not have a casual approach for non surgical treatments. The occurrence of injection site reactions would be common and this can also be coupled with swelling and redness. These are basic and primary reactions which will subside on their own. It would require any time between 24 hours to three days for you to experience benefits of the treatment. Depending on your post therapy care and maintenance, the rejuvenated impression can be retained for around eighteen months which can also be extended. Nu Cosmetic Clinic is recognized for its reputed cosmetic solutions and positive track record, our centers for cosmetic care and excellence are spread across the UK. We assure you the best of quality treatments and care from all our cosmetic centers that are comparable with the Sheffield Clinic.